There's no tomorrow when I'm through with you! Grrrr! I don't give up so easy! Yes Silver, we will certainly enjoy this world being torn apart! 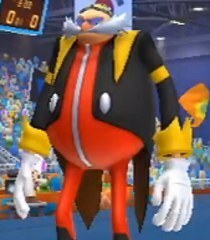 Only to be rebuilt with the structure of EGGMAN LAND! !